I'm having a weird, can't get motivated to blog week. I have a few things I want to write and I just can't get myself to sit down and do it. But I do have a few things I wanted to tell about so I'm going to do that today. Five years ago, Compassion took it's first group of bloggers on a trip. They went to Uganda and my friend Sophie was on that trip. I read her blog and opened my heart to sponsoring a child. Then I was blessed to go on two trips with Compassion and sponsor two more children. I'm a huge advocate for this wonderful organization. They are on a trip to Uganda this week. Some great bloggers are with them like two of my friends Nester and Emily. You can follow along here. 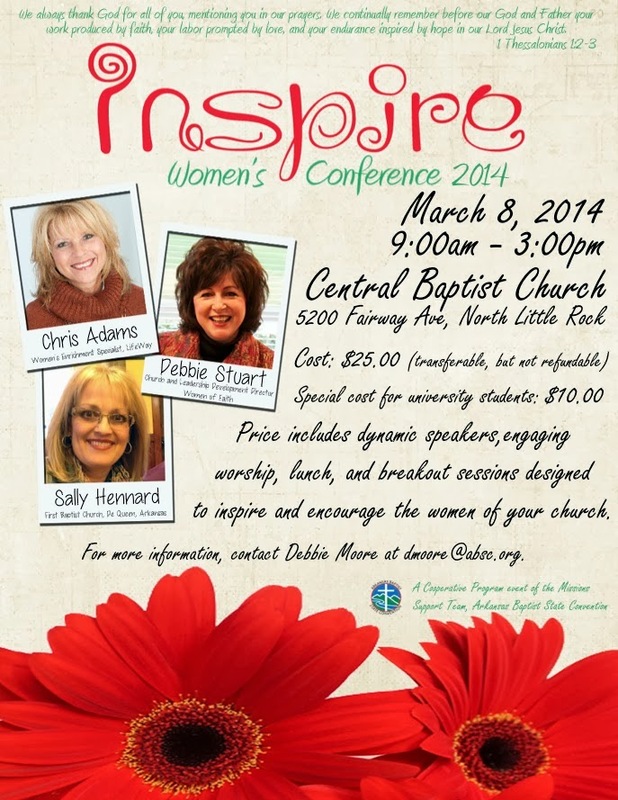 If you are any where in Arkansas, there is a WONDERFUL conference for you to attend coming up in just 4 short weeks!!! 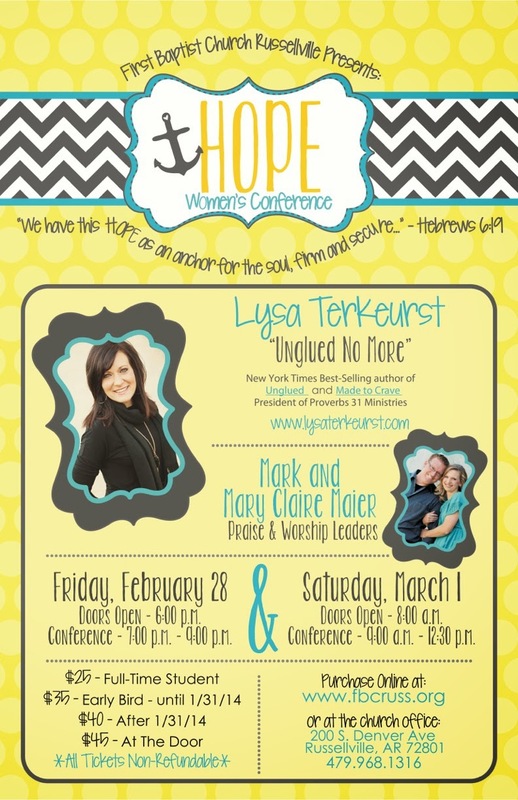 Lysa Terkeurst, who is a friend of mine and an author and speaker of books like "Unglued" and "Made to Crave" is coming to First Baptist Church Russelleville. And the music will be led by two of my friends from OBU - Mark and Mary Claire Maier and they are SOOOOOOO talented! You can find more info at www.fbcruss.org. I need to get one more plug in for all of you women in Arkansas.........there is a conference on March 8 in Little Rock and it is going to be great! It's just a one day conference and Debbie Stuart is the speaker and she is AMAZING (she's speaking to our women this week) and there are a lot of great breakout sessions on a tons of topics. You might know one of those breakout leaders (Her initials are K.S.) I'd love to see a lot of you there!!! Okay ...... that's it. Hopefully I will be back tomorrow with a real post.